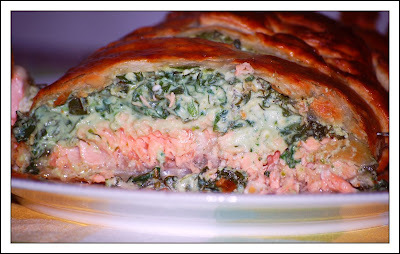 The salmon en croute turned out to be quite delicious, and rather photogenic, too. 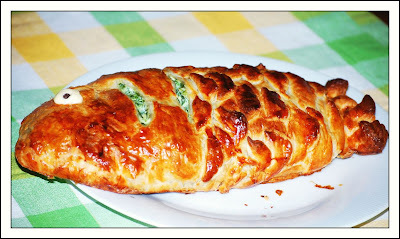 You can get the the recipe here. what a cute and delicious looking little fish. adore the eye and I too can get exited by dill. This fish looks very yummy - so toasted and golden and with a juicy filling inside! I never knew dill was a rare herb in Italy - how come?! Have you ever tried growing it at home?